Although addiction to drugs or alcohol can happen to anyone, substance abuse is a significant issue for many military veterans. According to the Substance Abuse and Mental Health Services Administration (SAMHSA), approximately 7 percent of U.S. veterans suffer from substance abuse or addiction. A report by the Institute of Medicine titled Substance Use Disorders in the U.S. Armed Forces explains that prescription drug and alcohol abuse are more prevalent and increasing steadily in both active and veteran military members compared to the rest of the population. Why Is Substance Abuse Common in the Veteran Population? When service members return from combat zones, the process of readjusting to normal life is often difficult. Many of these veteran military personnel must deal with complex health problems, devastating mental health issues, and severe economic challenges. 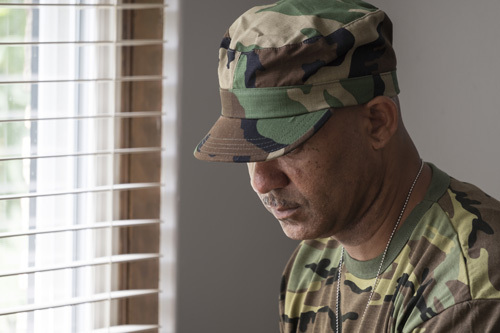 Some veterans are diagnosed with a co-occurring disorder. For this diagnosis, the individual must be diagnosed with two conditions: a mental health disorder and a substance abuse disorder. An example of a co-occurring disorder would be if the person becomes addicted to prescription painkillers while suffering from anxiety. Both of these conditions must be treated together. If a co-occurring disorder is not treated, serious health complications can occur in the future. Many veterans that have been in combat and were exposed to scenes of violence are deeply afraid for their own personal wellbeing and safety. Soldiers in these situations experience a higher rate of substance abuse. PTSD, once referred to “shell-shock” and “battle fatigue”, can be caused by witnessing or taking part in horrific scenes of violence, warfare, terror attacks, or other startling or extremely tragic events. Veterans can also develop PTSD after experiencing sexual harassment or assault. According to the U.S. Department of Veterans Affairs, 23% of women reported sexual assault and 55% of women and 38% of men have experienced sexual harassment when in the military. Oftentimes veterans turn to drugs or alcohol to cope with the symptoms of PTSD. Often PTSD occurs right after the event, but there are many cases where weeks, months, or years pass by without the person experiencing any symptoms of PTSD. Veterans suffering with PTSD relive the event through nightmares, flashbacks, or triggers. They may engage in self-destructive behavior including self-harm or substance abuse. They generally suffer from hyperarousal and feel “keyed up” all the time. They are easily startled, have trouble sleeping, or suffer from insomnia. They may experience negative changes in their feelings or beliefs related to the event and avoid situations that remind them of the event. From 1995 to 2013, there was an increase of 52.7 percent increase in outpatient veterans treated for drug or alcohol disorders. In 2009, military physicians wrote almost 3.8 million pain medication prescriptions. This was four times more than those written in 2001. More than 20 percent of veterans with PTSD also suffer from a dependence on or an addiction to alcohol or drugs. Approximately 18.5 percent of veterans coming home from Afghanistan or Iraq have depression or PTSD. An additional 19.5 percent have a traumatic brain injury. All of these conditions predispose a person to addiction. An increase in major depression and substance use disorders was reported in a study of 678,382 active personnel. Approximately 21 percent of veterans in substance abuse treatment were homeless according to a TEDS Report (Treatment Episode Data Set) from SAMHSA. According to an assessment by the Departments of Housing and Urban Development (HUD) and Veterans Affairs (VA), nearly 76,000 veterans were homeless on a given night in 2009. During that year, approximately 136,000 veterans spent at least one night in a shelter. Substance use disorders are considered chronic illnesses, but an addiction to drugs or alcohol can be successfully managed with proper treatment. This includes detox as well as counseling and the use of holistic therapies to promote coping skills that improve mental health. The U.S. Department of Veterans Affairs website has a mental health resources page that explains what treatment options are provided through the VA healthcare system. Canyon Vista Recovery center also offers treatment services for men and women diagnosed with substance use disorders. Learn more about programs offered at Canyon Vista Recovery Center, residential treatment program near Phoenix.